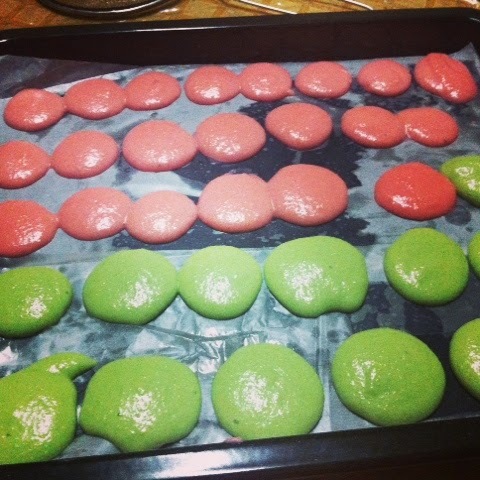 There's a reason why people buy macarons rather than bake them. I've only made macarons three times in my life, today being the third. Lol. Spent almost four hours just baking these freaky creatures! Doing it today made me remember the different elements that could go wrong when making macarons. 1) You need to filter the ground almonds of the husk as it's got little little bits that will make the mixture rough. 2) If making the Italian style meringue, make sure that you whip the eggs till at least medium peak and not watery. Please do not overwhip! 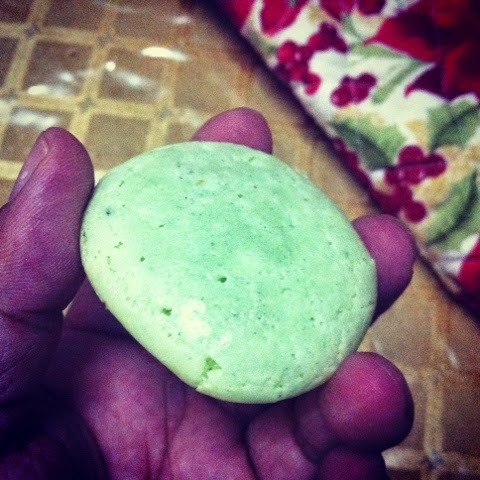 Using Italian style meringue will also ensure that your macarons will also have feet. 3) Please use the right type of baking paper or silicon paper. Your macarons will stick to the paper. Ground almond is expensive, so give it the expensive treatment. Don't stinge! 4) the climate in Malaysia is hot and humid. I chucked my piped batter in the fridge to dehumidify it and create a skin faster. I made four batches today. Each batter became progressively better, thank goodness!